Climate change is becoming one of the most significant threats to World Heritage properties, jeopardizing the disappearance of their Outstanding Universal Value, their integrity and the potential for economic and social development at the local level. In addition, tropical regions are the most sensitive to climate change. As witnessed over the recent past years, the extreme weather events, including storms and floods, which occurred in the Central America and Caribbean regions are a dramatic reminder of this new reality the world has to face. World Heritage properties serve as effective climate change observatories to gather and share information on applied and tested monitoring, mitigation and adaptation practices. The global network of World Heritage, one of the most widespread monitoring system, also helps raise awareness on the impacts of climate change on human societies and cultural diversity, biodiversity and ecosystem services, and the world’s natural and cultural heritage. UNESCO has been at the forefront of exploring and managing the impacts of climate change on World Heritage. In 2006, under the guidance of the World Heritage Committee, it prepared a report on Predicting and Managing the effects of climate change on World Heritage (2006), followed by a compilation of Case Studies on climate change and World Heritage. This process lead to the adoption in 2007 by the General Assembly of States Parties to the World Heritage Convention of a Policy Document on the impacts of climate change on natural World Heritage properties. The issue of the impacts of climate change on World Heritage natural and cultural properties was indeed brought to the attention of the World Heritage Committee in 2005. The Committee subsequently requested the World Heritage Centre, to convene a broad working group of experts to review the nature and scale of the risks arising from climate change and prepare a strategy and report for dealing with the issue. In taking this decision the Committee noted “…that the impacts of climate change are affecting many and are likely to affect many more World Heritage properties, both natural and cultural, in the years to come”. As stated in the “Policy Document” (2007), the composition and distribution of natural, human and cultural ecosystems is expected to change as species and populations respond to the new conditions created by climate change. Climate change adversely affects the conservation of natural World Heritage properties and the ecological systems that sustain life. Cultural World Heritage properties are also being variously impacted by climate change. Flooding also damages building materials. Increases in storms and wind gusts lead to structural damage. Desertification, salt weathering and erosion is already threatening cultural heritage in desert areas. Climate change is also causing social and cultural impacts, with communities changing the way they live, work, worship and socialize in buildings sites and landscapes, possibly migrating and abandoning their built heritage. Furthermore, climate change also impacts on livelihoods, food security, and the social economic fabric as a whole. The project aims at updating the current “Policy Document on the impacts of climate change on World Heritage properties” and ensure its widespread dissemination and communication of results. Due to the unique scope of the World Heritage Convention, and the considerable attention World Heritage properties attract, the beneficiaries of this project are diverse: all States Parties to the Convention, Site-Managers of heritage sites, international bodies, universities, research institutions, private sector, NGOs and other relevant programmes working on climate change and/or heritage matters. Secretariats of other related multilateral conventions or programmes (such as the UNESCO MAB Programme, the Ramsar Convention on wetlands, etc.) will also be interested in this Policy Document. Acknowledging that World Heritage properties increasingly face climate change threats, the Committee strongly encouraged States Parties to participate in the 21st Conference of the Parties (COP21) to the United Nations Framework Convention on Climate Change (UNFCCC) in December 2015, with a view to achieving a universal climate agreement and mobilize global climate action on the ground. Lastly, aware that knowledge related to adaptation and mitigation to climate change has drastically increased over the past 10 years, it requested the World Heritage Centre and the Advisory Bodies to periodically review and update the “Policy Document”, so as to make available the most current knowledge and technology on the subject to guide the decisions and actions of the World Heritage community, and to present, subject to available time and resources, a proposed update to the “Policy Document”, for possible consideration by the World Heritage Committee at its 42nd session in 2018. The project ultimate objective is to propose an updated “Policy Document on the impacts of climate change on World Heritage properties” ideally for consideration by the World Heritage Committee at its 42nd session in 2018 and ensure its widespread communication to all stakeholders concerned. Development of a communication outreach and visibility plan to ensure the promotion of the adopted updated Policy Document to all stakeholders of the Convention and to the wider public. The updated Policy Document will be promoted both as a printed document and as web-based material. Under Article 6 of the World Heritage Convention, the States Parties “recognize that [such heritage] constitutes a world heritage for whose protection it is the duty of the international community as a whole to co-operate”. The World Heritage Convention’s comparative advantage lies in its management of outstanding cultural and natural heritage properties around the world, and the breadth of States Parties’ obligations to protect these properties. Actions taken at these 1.073 iconic properties attract considerable attention and can influence the adoption of good management practices elsewhere. 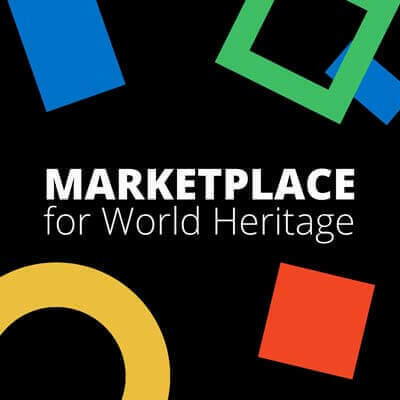 Therefore, the World Heritage Centre will focus its efforts on optimizing this comparative advantage by actively promoting, in cooperation with States Parties, the use of World Heritage properties in the activities of other conventions, international bodies and programmes working on climate change. Priority in all climate change related actions under the Convention will be given to properties in the most vulnerable locations and part of UNESCO’s thematic action focus areas: Africa and Small Island Developing States (SIDS). The World Heritage Centre and the Advisory Bodies will continue to cooperate with States Parties and other relevant organizations during the Reactive Monitoring and Periodic Reporting processes and in research activities, so that the impacts of, adaptation to, and mitigation of climate change are properly assessed, reported and managed and so that the updated Policy Document is adequately promoted and implemented. An estimated overall extra-budgetary funding of USD 50,000 is needed for the implementation of this project. These funds will cover the consultant fees, as well as communications and printing of the final updated Policy Document. A communication & visibility plan will be developed in consultation with the donor(s). The donor’s logo will be included in the printed version of the updated Policy Document as well as on the related webpage and any promotional document (for information, the World Heritage Centre website received over 13,000,000 visits in 2016 from over 9.5 million unique viewers). A side-event could also be envisaged during the 43rd session of the World Heritage Committee to promote the Policy Document.